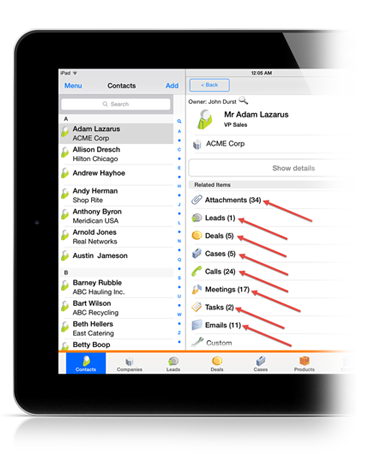 accounts and individual contacts together to give you a complete view of these relationships. When you open a contact record within SalesNOW, you will see all of the information available for that contact, including any notes, call or meeting logs, email communications, active deals, outstanding tasks, and much more. And by opening the customer record associated to that contact, you will see all of the notes and interactions with all of the contacts associated with that company. Everything is consolidated to give you all of the information related to that customer in one place. Connecting relationships with accounts and prospects is essential to leveraging those relationships to grow your business. SalesNOW enables you to record both direct and indirect business relationships at each level within a company. Relationships of any type can be tracked, such as corporate, contracted or managed relationships. 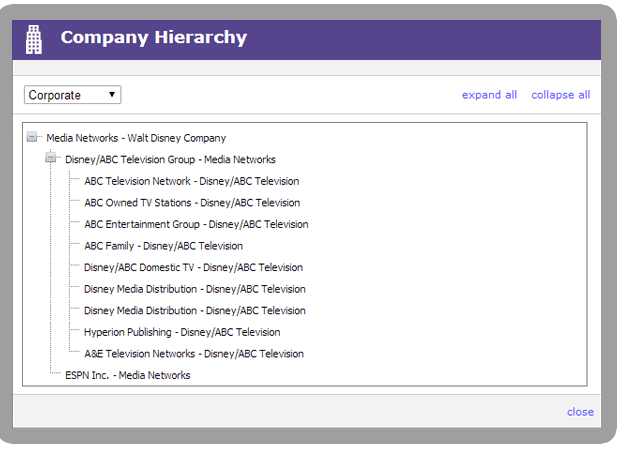 View a customer’s complete relationship hierarchy in one simple view. Even report on sales and activities within these complex corporate relationships.